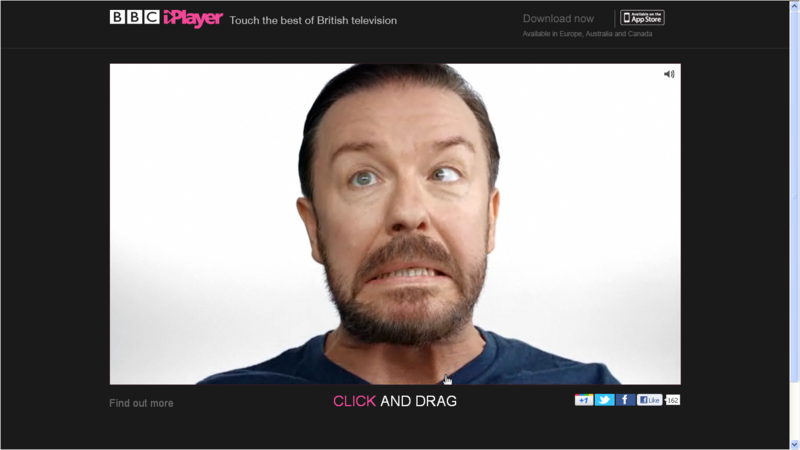 To promote the fact that the BBC iPlayer is now available as an app to download outside of the UK (available in Europe, Australia and Canada) an interactive Ricky Gervais has been created! Internet users can 'Rub his face', 'Click and Drag' or 'Touch His Neck' while he delivers various thoughts at http://www.bbcworldwide.com/ricky/. The interactive Ricky Gervais is part of a larger campaign called 'Touch The Stars' designed to promote the wide range of content available through the BBC iPlayer (Global) app and is an entertaining way of using Owned Media to build deeper engagement around the TV and online display advertising. Furthermore, you have to enter your CVS LEARNet password, if you are a Shop, Colleagues. myhr cvs All these illness are a huge hazard to people and also various other medicines to the houses.